The Jewish year is made up of many holidays that connect us to our history as a people, the State of Israel, and the changing seasons. Throughout the year, we join together to remember, pray, and celebrate as one community. See below for some of the special ways we observe these holidays at Beth David and check out Reform Judaism’s Website or MyJewishLearning.com for additional information. We begin the Days of Awe with Slichot services and study with the greater Lower Merion Jewish community. Rosh Hashanah, the Jewish New Year, and Yom Kippur, the Day of Atonement, are inspirational days for contemplation, celebration, and congregation. 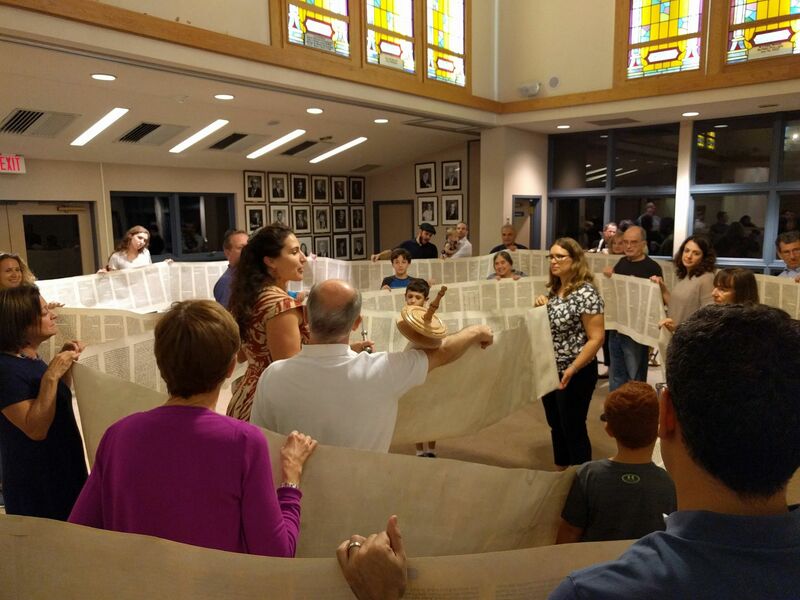 At Beth David we are proud to have many congregants, in addition to our clergy, actively participate by reading portions of the service, chanting Torah and reading its translations, and blowing the Shofar. 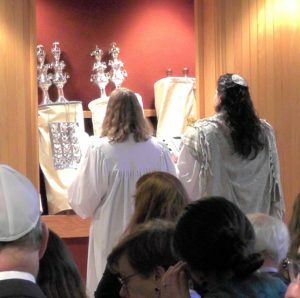 The honor of participating in the High Holy Day Services is offered to congregants based on volunteerism throughout the year. We also conduct special Tot Services designed for our youngest worshipers as well as Family Services for elementary and middle school children to attend with their parents. Beth David Men (though all are welcome) traditionally do the “manual labor” to build and adorn the sukkah (temporary hut) with corn stalks, hay bales, and lights. During Religious School, our students decorate it with fruits and crafts created in art class. 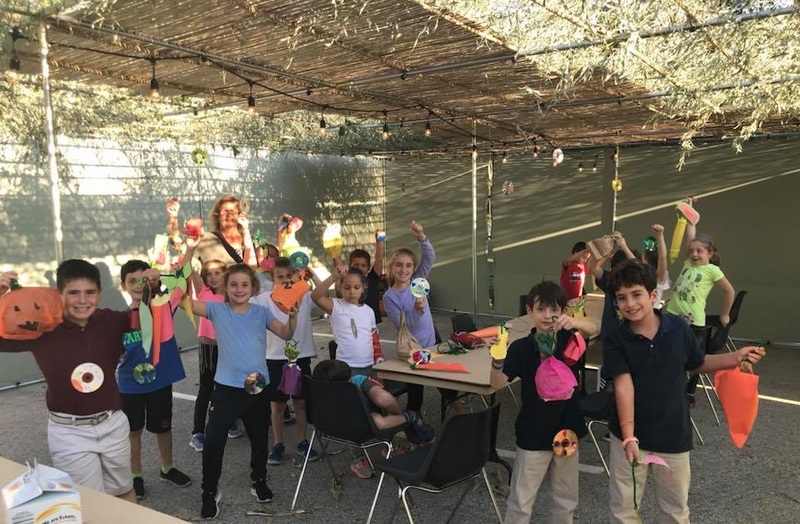 During this festival, we also gather for prayer, text study, and meals inside our communal sukkah. 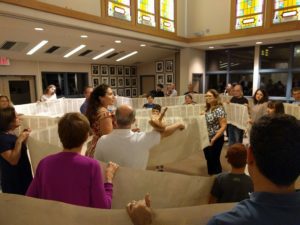 On Simchat Torah, we hold a service in which we unroll the Torah around the sanctuary celebrating the completion of our annual chanting of the Torah and immediately beginning again. At Beth David, the celebration includes marching and dancing all around the sanctuary to music provided by professional musicians and singing provided by all of us! On the Shabbat that falls during Hanukkah we invite our members to bring their family hanukkiot to kindle the lights of Hanukkah as a congregation. 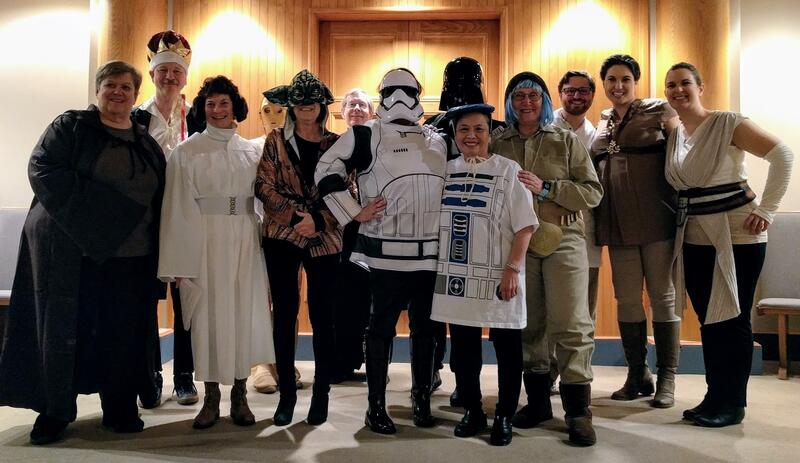 Our clergy may also be found throughout the Philadelphia area spreading the joy and light of Hanukkah with the broader Jewish community – come join us! 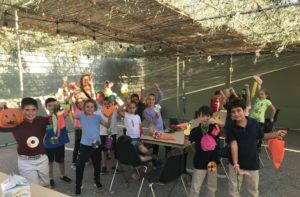 Children, faculty, and parents come to Religious School in costume on Purim for arts & crafts, games, and our very musical Purim Shpiel, featuring students, congregants, and staff, and produced by Cantor Goodlev. Passover seders traditionally take place at home surrounded by friends and family of all ages. 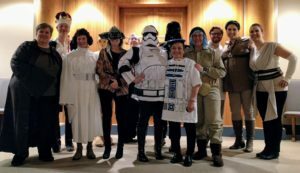 We are happy to provide you with resources to learn how to run your own seder and for members who may not have a seder to attend, the Beth David office will be happy to help you find one. We also hold text study and services on the morning of the first and last days, which includes both yizkor and Rabbi Kalisch’s famous matzah brei. In remembrance of those who passed during the Holocaust, we join in prayer with our friends at Main Line Reform Temple as our choirs sing together in harmony. Marking the moment we received Torah from Sinai, here at Beth David, Shavuot begins with evening text study, complete with many requisite cheese blintzes. Morning services are led by our talented teen Confirmation class students as they celebrate their continued connection to Torah and Judaism. The Confirmands’ joy and friendship is infectious at the special oneg afterward, organized by their families.